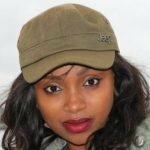 Just yesterday, Radio Jambo´s popular Massawe Japanni, shared sad news with followers following her loss of a great friend and sister. The articulate radio presenter wrote: Even unto death with my every breath I will love you a great friend and sister you were….. #ItIsWellWithMySoul The Support Fellow media personalities showed support for the Swahili presenter and family. Kush Tracey posted: My condolences mami @massawejapanni pole sana may God give you strength during this trying time. MCA TRicky also shared: So sorry for your loss,,Mungu akufariji Betty Njiru commented: May you find comfort from the Lord. The Trend´s TV show host, Amina Rabar shared: So sorry for your loss @massawejapanni. May God give you the strength to face this. Pole. Comedian, Captain Otoyo shared: I can´t find words to Eulogies Mgeni. I cannot find apt words to comfort you @massawejapanni. Coz when you call someone your Friend you mean it to the fullstop. We do not question God. Just the way we never ask him why when he blesses us,… we cannot ask him why when it hurts. Only he gives AND only He has powers to recall. It is well Massawe. It is well. Citizen TV´s Lulu Hassan shared: Haki pole mamiii….Countless personalities and fans shared the tough times with the radio presenter. Alex Mwakideu also posted: Pole dadangu. Countless personalities and fans shared the tough times with the radio presenter. The post Popular female Kenya radio presenter in mourning appeared first on Ghafla! Kenya.